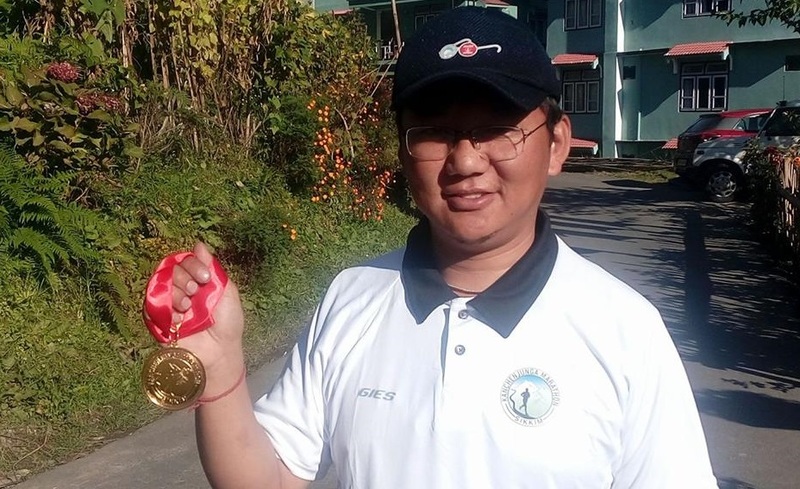 The North East Sports Climbing and Mountaineering Committee (NESCM) got its new chairman in the form of Sikkim Everester Kunzang Gyasto Bhutia from Sikkim. 40-year-old Kunzang who is presently posted as the chief instructor at Indian Himalayan Centre of Adventure and Eco Tourism at Chemchey in South Sikkim becomes the first person from Sikkim to be elected to the post. He was elected chairman in a NESCM meeting held at Gangtok on Feburary 18. “I take this as an opportunity to promote mountaineering and mainly sports climbing which is the new upcoming sport in India” said Kunzang, quoted Sikkim Chronicle. In 2008, Kunzang successfully climbed the Mount Everest. NESCM is a committee formed by the Indian Mountaineering Federation. “There are five zones – North, East, South, West and North East Zone. The main function of the zonal committee is to regulate, advocate; promote, teach and implement sports climbing in their respective zonal states,” the report quoted Bhutia as saying. The committee is also hosting the inter-state sports climbing competition in Mizoram later this year, the date of which is yet to be finalized. Kunzang who is also the president of Sikkim Mountaineering Association was the only Indian climber to participate in the Ice Climbing World Cup Championship held in the first week of February. “It was a learning experience to know the training methods, equipment handling. I am hoping to share the experience with the young athletes of Sikkim,” the reported quoted him as saying.